If Beirut had intrigued us with its curious mix of modernity and tradition, history and development, eastern and western lifestyle, the rest of the country simply enthralled us. Thanks to its manageable size (not quite twice as big as Prince Edward Island), one can get nearly anywhere in Lebanon on a day trip from the capital—which is exactly what we did. It is incredible how many fabulous attractions are concentrated in such a limited territory: from glass-clear waters to snowy mountains, through ancient cities and the stunning archaeological sites. As the Lebanese like to brag, this is one of the few places on Earth where one can swim in the sea and go skiing in the mountains on the same day. If you wanted to add to the diversity, you could even cram in a visit to an archaeological site. 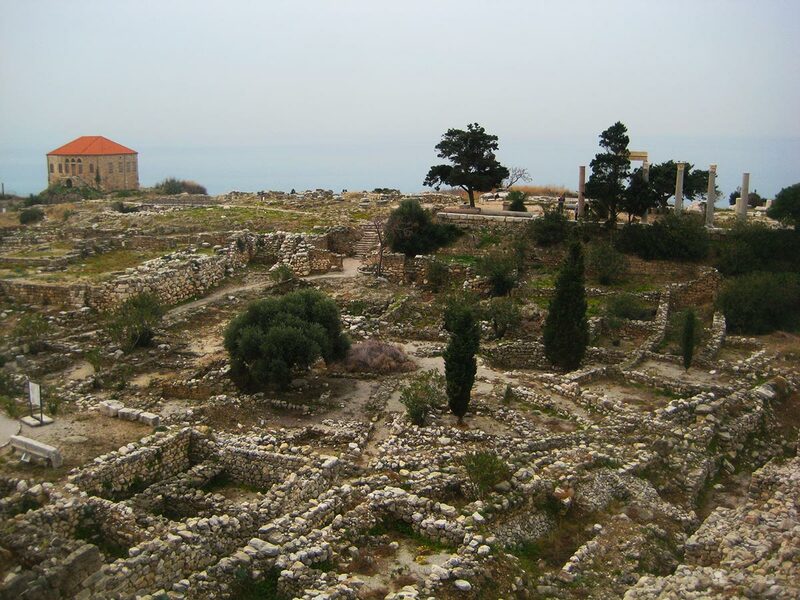 Byblos, Lebanon’s famous archaeological site. Even in early February, the blue water of the Mediterranean was tempting in the quaint harbour town of Byblos (Jbail in Arabic). Had it been a sunny day and slightly warmer, I would have swum. However, what brought us to Byblos wasn’t the beach but its venerable history. Founded in 7000 B.C. and continuously inhabited since 5000 B.C., this UNESCO World Heritage site is considered one of the oldest cities in the world and one of the main centres from which the Phoenician alphabetic script spread around the Mediterranean Basin. A visit through the archaeological site is tantamount to a journey through time. We could see the ruins left by the different civilizations that flourished here, such as a Crusader-era castle, Roman and Hellenistic temples, a theatre, a colonnaded street and Phoenician royal tombs. On the way back to Beirut, we stopped at Jeita Grotto, a spectacular system of caves, accessible by cable car, that extends for six kilometres into Mount Lebanon. The shapes and the colours of the rock formations were simply amazing—though my girlfriend was not happy that photos weren’t allowed. 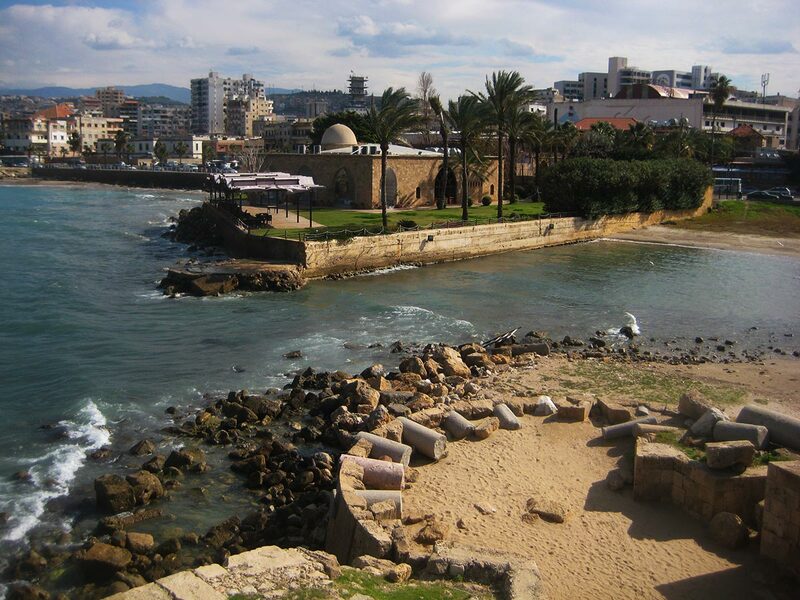 About 40 km south of Beirut lies Sidon, the country’s third largest city, whose history goes back as far as 4000 B.C. While in Byblos we came across a few tourists, we seemed to be the only foreign visitors in Sidon. Strolling around Sidon turned out to be a surprisingly exciting and authentic experience. Besides the Crusaders’ castle—theatrically built on an islet connected to the mainland by a causeway—we enjoyed browsing the vibrant vaulted souk, a triumph of sounds, scents and flavours; and later discovered tucked-away sights such as Khan El Franj (an old caravanserai), old mosques, the Museum of Soap and the fine Ottoman mansion of Palace Debbané. Sidon’s castle by the sea. Whereas we managed to get to Byblos and Sidon by public transport, we visited the interior of the country by car. 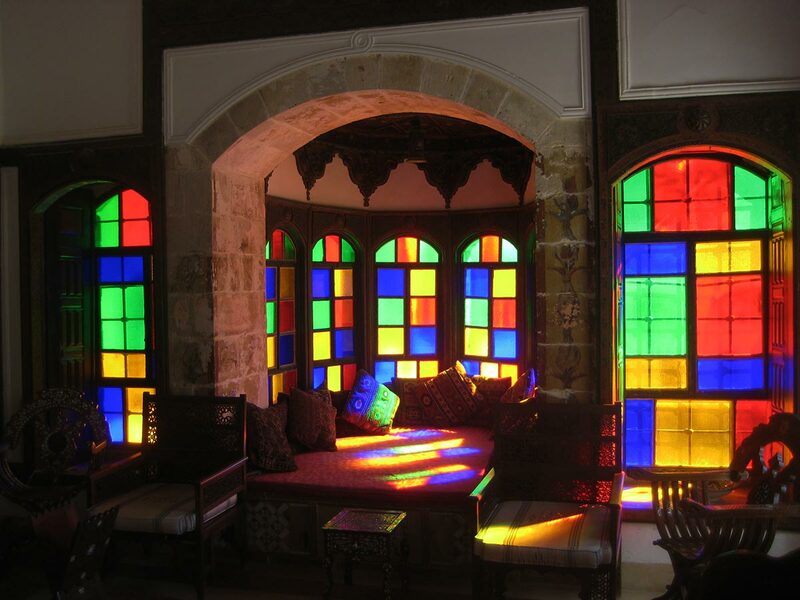 Our Couchsurfing hosts took us to Deir al-Qamar, a quiet village of red-roofed stone houses that, between the 16th and 18th century, served as the residence of the governors of Lebanon, and thus featured some remarkable historical buildings, mosques, churches and even a synagogue. This fine architecture was just a foretaste of the magnificent Palace of Beit ed-Dine, the nearby town where Emir Bashir Shihab II moved the capital in 1811. The intricate decorations, exquisite mosaics, elegant arches, priceless materials and gushing fountains in the arcaded courtyards carried us away and reminded me of the Alhambra in Granada, Spain—and of my time as a child playing Prince of Persia. The stained glass of Beit-ed-Dine. 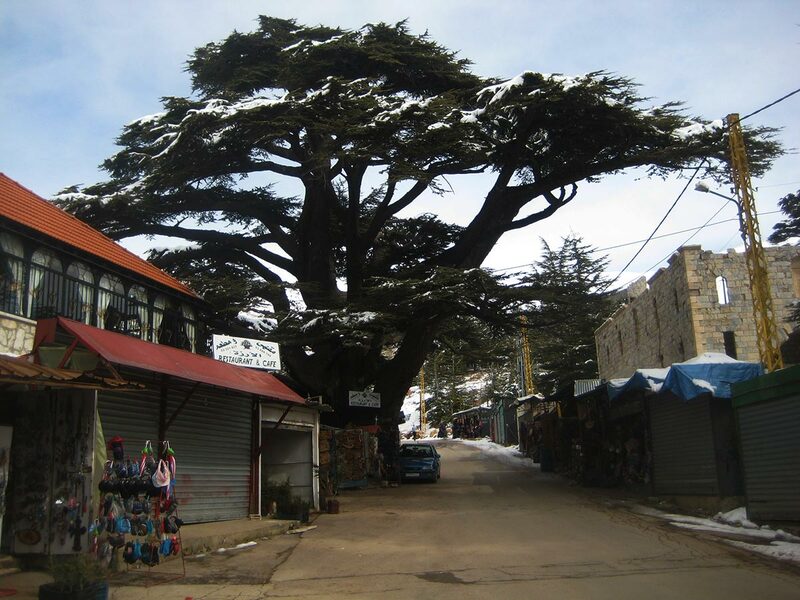 The next day we hired a taxi with some friends and headed to the mountainous town of Bcharre to see the famous Cedars of God, one of the last remaining groves of this majestic tree that stands up to 40 metres tall. Mentioned in the Bible as being planted by God himself, their timber was a very valued material in the ancient world, especially for shipbuilding. I’m no tree-hugger, but walking under their regal crowns covered in snow and touching their massive trunks filled me with emotion. I’m sure that even the most insensitive soul could feel the divine spirit of nature in this forest. The town itself enjoys a superb location on the slopes of the Kadisha Valley and approaching it from the road was quite a sight! The Cedars of God, standing as high as 40 metres. Bcharre is also the birthplace of the celebrated author and artist Khalil Gibran, whose beautiful museum and resting place we visited before heading for more adventure. 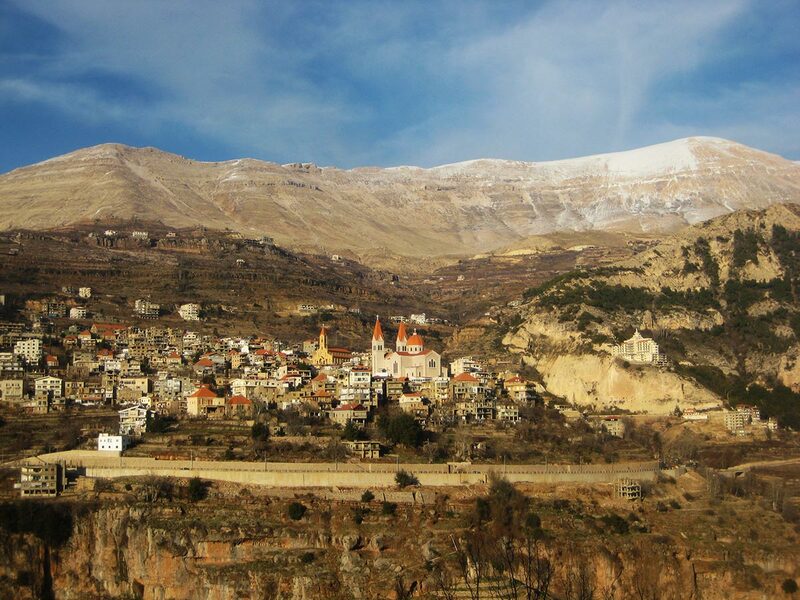 The Kadisha Valley is an important spiritual centre for Maronite Christians, who, across the centuries, have built several monasteries in remote areas. Hiking in the valley from one monastery to the other must be incredible; however, due to lack of time, we only managed to visit Deir Mar Lichaa. This monastery is spectacularly camouflaged among the cliff into which it clings. Although we had just a short walk along the narrow trail, it was enough to appreciate the stunning panorama over the valley. A main draw for me in Lebanon was the glorious ruins of Baalbek, one of the most celebrated sanctuaries of the ancient world. As the town lies only 10 km from Syria and is the administrative centre of Hezbollah—well, it doesn’t have a very good reputation. In any case, we travelled there with a local driver and didn’t encounter any problems; the armed soldiers at the checkpoint quickly glanced at us before letting us pass. 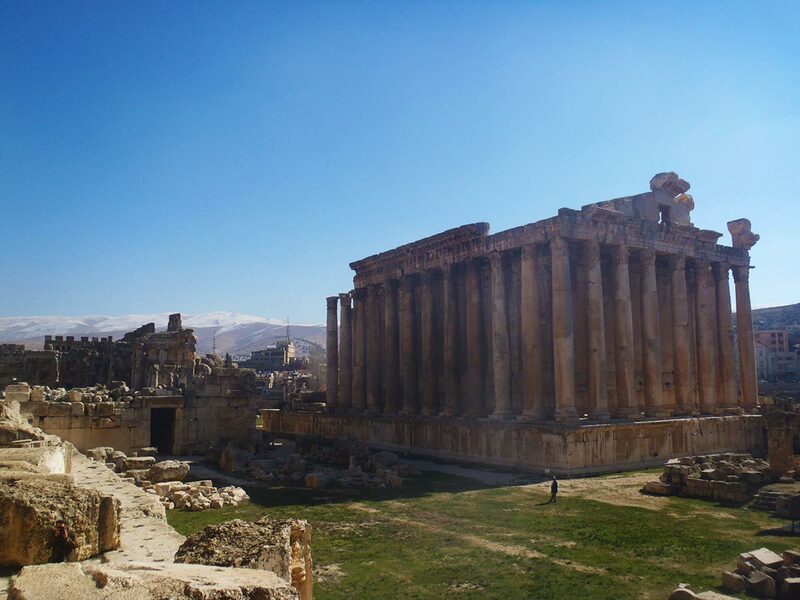 The colossal ruins of Baalbek. The grandness of the site exceeded my expectations. The imposing portals, the towering columns, the exquisitely decorated friezes and altars: every architectural element is so colossal that seems to have built not by men but by gods, for gods. I felt totally humbled while roaming the ruins. Nowhere else as in Baalbek I have perceived the full power of the Roman Empire. After Baalbek, we visited some other interesting places in the fertile Bekaa valley such as the impressive ruins of Anjar (an Umayyad 8th-century city and UNESCO World Heritage site) and the pretty capital of the region, Zahlé. To finish off the day nicely, we toured the winery of Château Ksara. I still have a bottle of Moscatel I bought there on my wine rack. I can’t bring myself to drink it, though; I enjoy looking at it, recalling my fabulous trip to Lebanon.